Researchers developed the first-ever space weather model which can accurately predict space storms caused by high-energy particles. Those storms can be extremely harmful for satellites and other spacecraft researchers use for exploration. An accurate model for predicting space weather will be quite helpful in determining ways for scientists to protect probes from high-energy damage. The findings from the research were published in the journal Space Weather, and they show that this model can provide a reliable one-day warning before any kind of space storm that is developing. These storms are known for carrying ultra-high-speed electrons which are often called “killer” electrons due to the damage they can cause to spacecraft. 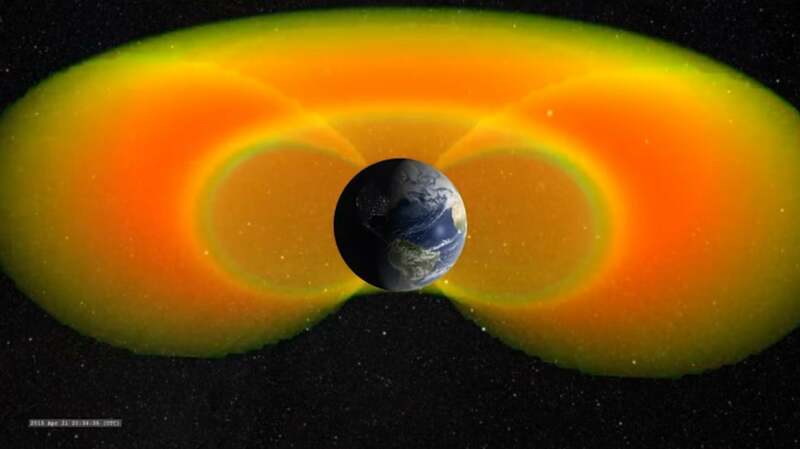 Researchers have now developed this model to predict space weather in Earth’s outer belt region. The outer radiation belt, which is also known as the outer Van Allen belt, is located at Earth’s equator and starts at about 8,000 miles above Earth and stretches above 30,000 miles. Given the high variability of high-energy electrons inside this belt, researchers had a lot difficulties predicting them, especially when it comes to solar storms, which could negatively impact the power supply on Earth if they are high intensity. This model can be used to connect various approaches of predicting space weather and combine predictions with measurements made by Los Alamos National Laboratory’s geosynchronous equatorial orbiting satellite and a National Oceanic and Atmospheric Administration (NOAA) satellite in low-Earth orbit within a 3.5-year period. By finding connections between electron predictions and satellite measurements from low-Earth orbit, researchers were able to identify triggers which can enable them to accurately predict space weather. The model can then reliably forecast changes caused by high-energy electrons in the outer belt.